Is American Evangelicalism Really Disappearing? Predicting the demise of American evangelicalism has become a cottage industry. Scholars, journalists, evangelical researchers and the evangelical blogosphere all agree: Whether because of declining numbers of young people or demographic shifts that favor other religious groups, the movement is declining and becoming irrelevant in American society. 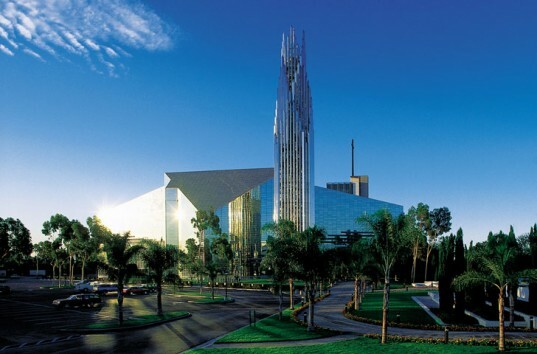 Most recently, the bankruptcy and sale of California’s Crystal Cathedral to the Catholic Archdiocese of Orange County has become the small story that captures the big picture. But to make the rise and fall of the Schuller dynasty the model for the larger evangelical movement ignores the particularities of the Crystal Cathedral—particularly the dramatically evolving cultural landscape of Orange County and the leadership crises that preceded the sale of the iconic building and its opulent campus. It would be more accurate to say that this institution, and not the broader movement to which it was tenuously connected, ultimately failed to keep pace in a highly competitive religious marketplace. At its most basic level, evangelicalism is characterized by a belief in the literal truth of the Bible, a “personal relationship with Jesus Christ,” the importance of encouraging others to be “born again” in Jesus and a lively worship culture. This characterization is true regardless the size of the church, what the people sitting in the pews look like or how they express their beliefs. 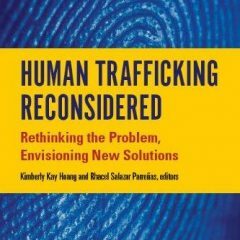 By focusing on megachurches like the Crystal Cathedral or identifying younger leaders in the Schuller mold, evangelicalism-in-decline analyses fail to capture the diversity and innovative spirit of a wide array of individuals and groups that should be understood as “evangelical.” These critiques also tend to overlook patterns of adaptation and syncretism that are typical of religious movements that are responding to changes in the broader social, economic and political culture. While most megachurches are evangelical, not all of them are. More to the point, while many evangelicals belong to megachurches, most of them don’t. 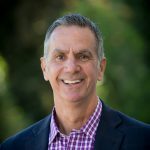 According to the Religious Congregations and Membership Study, in Orange County alone there were actually more evangelical churches as a percentage of all religious congregations in 2010 (59 percent) than in 1990 (47 percent) or in 1980 (46 percent), the supposed heydays of the megachurch-based evangelical movement. These numbers aren’t the whole story, but they do suggest that it would be more accurate to say that evangelicalism is evolving rather than declining. The evangelicalism-in-decline narrative also focuses too narrowly on white evangelicals who are not fundamentalists or Pentecostals. This suggests that evangelicalism is almost exclusively a white movement with uncontested theological content and religious practice, and that there are bright lines distinguishing evangelicalism, fundamentalism and Pentecostalism. First, there is much more overlap among these groups than that tidy distinction allows. And, second, these analyses overlook the increasing numbers of Latino and Asian evangelical congregations—ironically, many of them megachurches—that often tend toward fundamentalism or Pentecostalism. In practice these movements are much more alike than they are different, particularly with regard to bedrock theological issues and social mores as they relate to biblical teachings. A narrow focus on megachurches (or just brick-and-mortar churches generally) also ignores the larger constellation of institutions that make up the evangelical world, such as publishing houses and media outlets, colleges and seminaries, para-church ministry organizations and other nonprofit organizations. This “evangelical religion-industrial complex” constitutes the wider evangelical movement, providing social, cultural, economic and human capital and contributing to its powerful cultural influence. It’s true that the younger leaders who are most often mentioned as the future of evangelicalism have been trained in evangelical educational institutions, publish their books with evangelical presses and make the speaking rounds through established networks of churches, schools and other evangelical organizations. These products of the evangelical religion complex tend to represent, as one younger evangelical woman told me, an “evangelicalism 2.0” rather than a real way forward. At the same time, there are currently several nascent “post-evangelical” movements taking shape that most scholars, journalists and institutional evangelicals still haven’t noticed. Much of this is a grass-rootsy type of organizing among younger people–a sharing of information, ideas and experiences through social media and informal gatherings at coffehouses or more interesting beverage-consumption establishments. Because these groups deliberately operate outside of the evangelical religion complex, they don’t get the same publicity as those who have been promoted (or who promote themselves) through the established channels. Thus there are increasing numbers of younger evangelicals who fit the profile—a belief in the Bible as the revealed word of God, a personal relationship with Jesus and so on—but who would never use the term “evangelical” to describe themselves. Instead they typically choose to identify themselves as “believers,” “Christ followers” or simply “Christian.” This ambivalence toward traditional labels is related, I’d argue, to their dissatisfaction with the evangelicalism they have inherited and the fluid boundaries between related movements, as well as to the blurring of boundaries between evangelicalism and other religious influences that younger evangelicals are pursuing. Indeed in most of my conversations with younger evangelicals, the challenge of identifying themselves religiously comes up spontaneously, indicating both a shift in the character of the movement they informally represent as well as their dissatisfaction with the options currently available to them. Is this the end of evangelicalism? I think the answer to that question depends on what you mean by “evangelicalism.” If the term refers to the form of conservative American Protestant Christianity dominated by white men in large churches that has had a significant sociopolitical impact—particularly in the Republican Party—over the past 30 years, then probably yes. But, if “evangelical” includes smaller, more socially inclusive, more ethnically diverse groups that own little or no real estate, that have less interest in traditional political commitments, that tend to put their faith into action through social justice ministries and that simply desire to be a “Christian presence” in the larger culture, then probably no. Certainly there will be a remnant of the culture-war period of evangelicalism, particularly as new and newly diverse groups come into contact with each other in the public square. Yet the future of evangelicalism belongs to those who, like earlier generations, believe what the Bible says—although they will be more likely to argue that the biblical imperative for Christians is to care for the poor and to challenge unjust authorities. In this they will be attesting to their belief in the salvific power and person of Jesus. He is not simply a metaphor or archetype for these new evangelicals, as the liberal mainline would have it, nor is he a shill for right-wing politics as Dobson, Robertson and their hoary fellow-travelers believed. Rather he is a personal, spiritual and social revolutionary—much as he was for the Jesus People a generation ago. If younger post-/non-/former-/lapsed-evangelicals can avoid being coopted by the evangelical religion complex, they might be able to reform evangelicalism, by whatever name it comes to be known.